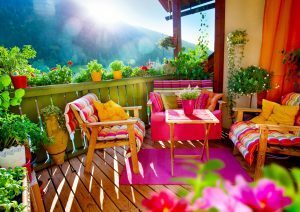 Whether you are looking to do a complete garden re-design or simply want to update the look of your garden, www.oecogardenrooms.co.uk has compiled some of the must have trends to look out for this summer. Although the use of natural colours and finishes has been a staple of garden design for many years, many people are now choosing bright and vibrant colours to make their gardens stand out from the crowd. Muted tones such as browns, greens and greys are perfect for garden fences and sheds, but try switching it up a little with your garden furniture. There is now a whole range of colours to choose from when searching for garden furniture, and you can even update tired looking fixtures and furniture with some bold paint or varnish to create pops of colour and focal points in the space. The summer months are the perfect time to enjoy the garden, with alfresco dining set to become one of the biggest trends this year. Creating an outside space in which to cook and entertain friends and family will become must-have garden features this year, with dedicated areas for eating and relaxing, and for cooking. BBQ’s and pizza ovens are good choices for cooking, while pergolas, gazebos and verandas are popular eating and relaxing areas. The key to creating the perfect alfresco dining experience is providing comfy furniture, heating options if required and mood lighting to create the right ambience. 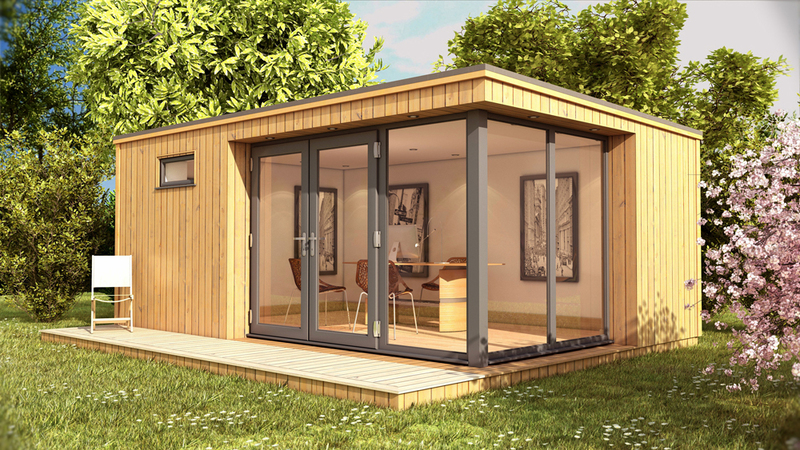 A big trend over the past few years was to change the standard garden shed from a storage area to a multi-functional space, and with technology advancing all the time this popularity is expected to grow. 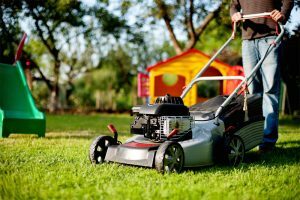 Many people are now choosing to create multi-use spaces which have designated storage areas for garden equipment but also areas for other uses such as greenhouses, outdoor entertainment areas, summer houses and even games rooms or gyms. Whether you are planning to adapt your existing shed or build a new one there are plenty of options available, from flat pack self-assembly units to professional installed structures that can be custom made to your specifications and needs. 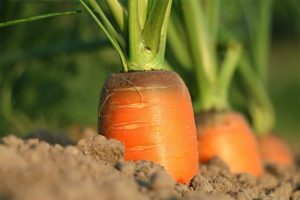 With people now looking at eating healthier and wanting to know where their food comes from there has been a big resurgence in growing your own vegetables over the past few years. 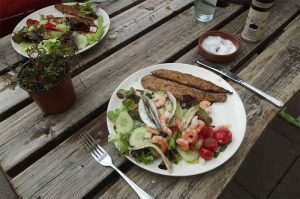 There is a variety of herbs and vegetables that can be easily grown in the garden from tomatoes and cucumbers to cabbage and spinach, making it a great pastime for green fingered gardeners. Seasonal vegetables can also be planted giving you a variety of food all year round. Starting to grow your own vegetables is easy, start off with some window boxes of herbs and expand from there. Set aside a patch of garden to do some experimenting or build a greenhouse and start growing. Solar lights have come a long way over the last couple of years and are now one of the most cost effective and easy to install lighting for the garden. Available in single lights to light pathways and driveways and chain lights to light up bigger spaces, solar lighting is now one of the most popular lighting solutions for the garden. Solar hubs also allow you to charge mobile phones, tablets and torches allowing you to spend more time in the garden. Solar lights and hubs are safe and inexpensive, and are perfect for creating the right atmosphere to relax and unwind in. 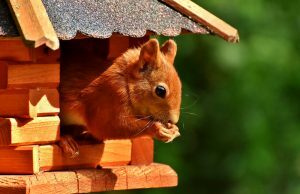 Many gardeners are aware of the declining numbers of bees and butterflies, but it is also important to welcome other animals into your garden. Taking time to research and adjust the types of plants and flowers you use in your garden will better support local wildlife, giving them some much needed food and shelter. Some of the things to consider are to restrict or stop the use of harmful insecticides, grown native berries and seed-producing plants and set aside a small area of your garden to let grow; this will provide natural shelter and foraging areas for wildlife.